The week-end course with Tsoan-tje-kun with Da Sifu Linn was full with enthusiastic participants from the junior-group to theadvanced group and instructors. Da Sifu shared his knowledge about how to handle a two section staff without hitting yourself with the tool, however that is not an easy task in the beginning. Tsoan-tje-kun is orginally a working tool within farming, but has developed to be a useful weapon that was popularised in the 1970's. It may not take too long time to learn a few moves but it takes some time to master it with speed and accuracy. Click on the picture to see the photos from the week-end Course with Tsoan-tje-kun that was held in Stockholm on April 6, 2019. Kun, long staff, is a traditional weapon that is always great to learn and practice. Da Sifu has always somethinig new to teach even for the advanced members that have joined many courses. Click on the picture to see the photos from the Kun week-end course that was held in Stockholm on October 6, 2018. Stockholms Wushu Academy opened the door on September 22nd, 2018, to celebrate our chief instructor Da Sifu Louis Linn on his 71st birthday. The training room was filled with friends, members and their families that enjoyed the exhibition with pictures and news clips and the chance to asks questions to Da Sifu, and of course plenty of cakes. Click on the picture to see the photos from Da Sifu's birthday celebration. Congratulations! On Saturday 27 January 2018 Dennis Guerrero, 4th Chieh, from Stockholm Wushu Academy, was certified Laoshi. 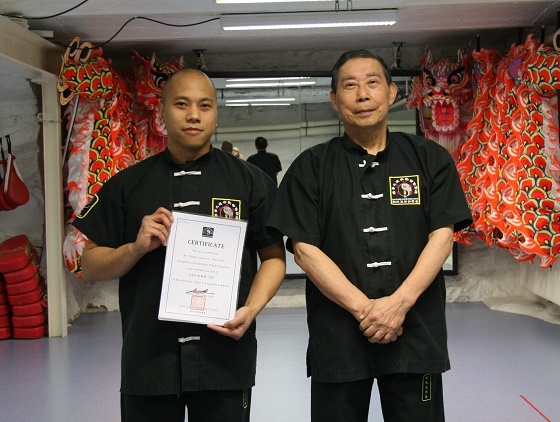 He has been a member of Stockholm Wushu Academy since 2002 and instructor since 2005. Besides techings he has been active in demonstrations and other events. 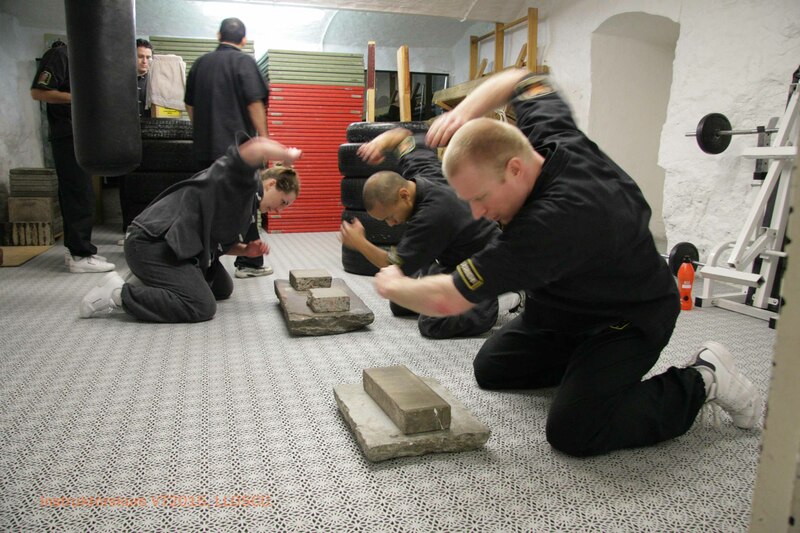 The course include techniques on how you correctly hardening your hand and how you break a brick with your knife-hand and reverse knife-hand. Bricks are included in the course fee. Fee: 800 SEK, registration with payment latests Thursdag 23 Nov.
We celebrated our chief instructor and founder Da Sifu Louis Linn with an Open House activity in Stockholm. The Open House presented an exhibition with Da Sifus long history and life time work within Martial Arts, and the instructors and advanced members from Stockholm and Skövde performed some O Shin Chuen Kung Fu. Many visitors came to see the exhibition and the performance and also got the chance to ask Da Sifu Louis Linn questions. All the cake and alomst all the cookies were finished when the doors closed at 17:00. We thank all the visitors for your kind support and warm words on this special day. Da Sifu Louis Linn celebrated his 70th birthday on 22 September and we celebrated with a nnice dinner at the Operakällaren. O Shin Chuen Kung Fu Show at Sergelstorg in Stockholm on June 27, 2017. The 41st training camp for the Louis Linn O Shin Chuen Union invited for plenty of training under the sun and close contact with the nature. 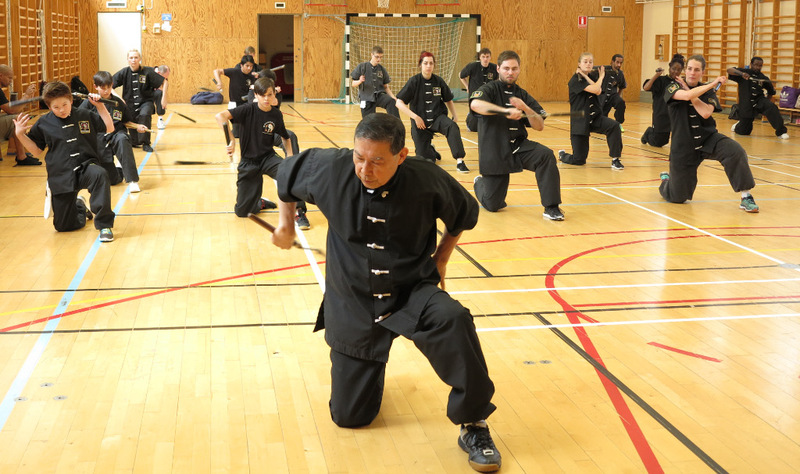 The camp had members from Stockholm Wushu Academy and Skövde Wushu Förening, in all levels and ages; from beginners to instructors, from 9 years old to 69 years old. Once more an inspiring and fulfilling training camp where chief instructor Da Sifu Louis Linn generously shares his experiences and knowledge within martial arts. It is up to us on catching up and digest all the marvelous things he is teaching us. Click on the image to see some pictures from the summer camp of 2017. The axe close combat techniques week-end course held in Stockholm on April 22, 2017, lead by the chief instructor Louis Linn. Click on the picture to see the photos from the course. In the summer camp in June 18-21 in Isaberg, he will continue with this course in the field exercises. Guà 掛 means "to hang" and Gōu 勾 means "to hook". The Week-end Course with Kun (long staff) held in Stockholm Oct. 22 with Da Sifu Louis Linn filled the room with members of all ages and levels. Kun is considered as the king of weapons and Da Sifu taught practical use of the Kun, defense and attack techniques in form and with applications. 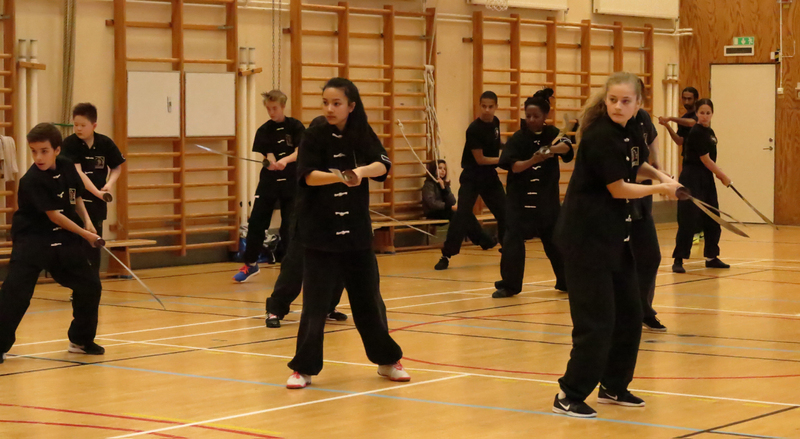 See the pictures from the grading tests at Stockholm Wushu Academy. In the end of every term the students perform an exam where they show what they have learned during the term. If approved they receive a certificate for the grade. Every year the instructor's skills in O Shin Chuen Kung Fu have to be re-examed and updated, therefore LLOSCU have regular courses with the chief instructor Da Sifu Louis Linn. 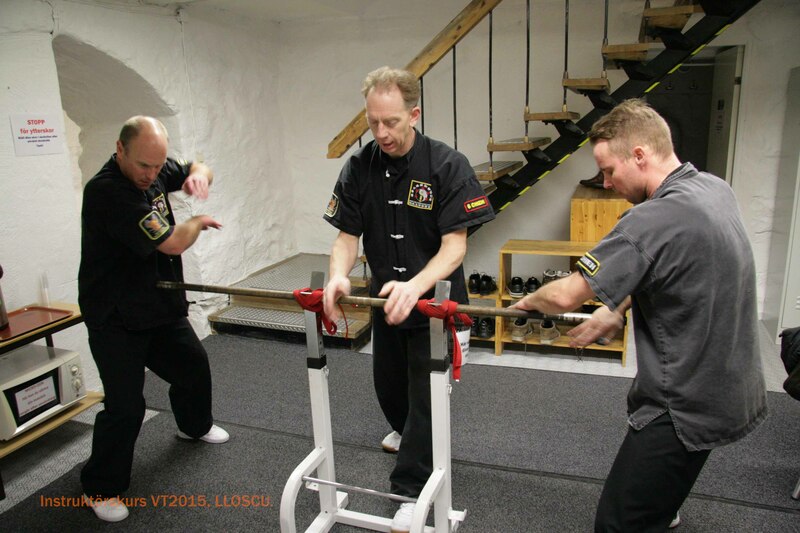 Laoshi Tomas Törnkvist, Sifu Peter Renström and Laoshi Jani Minkkinen practising iron bar training. Da Zhu Jiao Paulina Wysotzky, Da Zhu Jiao Dennis Guerrero and Da Zhu Jiao Ola Törnkvist practising hardening training on stone. 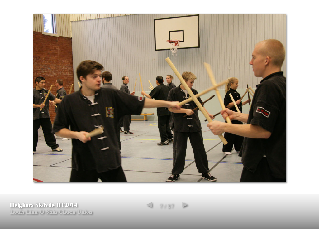 See the pictures from the week-end course in Skövde with Da Sifu Louis Linn, 6-7 december, with short sticks. 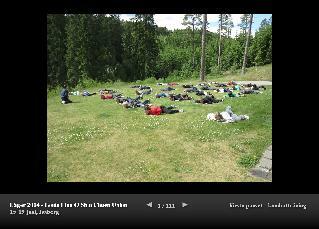 Pictures from the Louis Linn O Shin Chuen Union Summer Camp of 2014, June 15-19, Isaberg. See the pictures from the week-end course in Skövde 10-11 May 2014. We're ready for the Spring Term - are you? 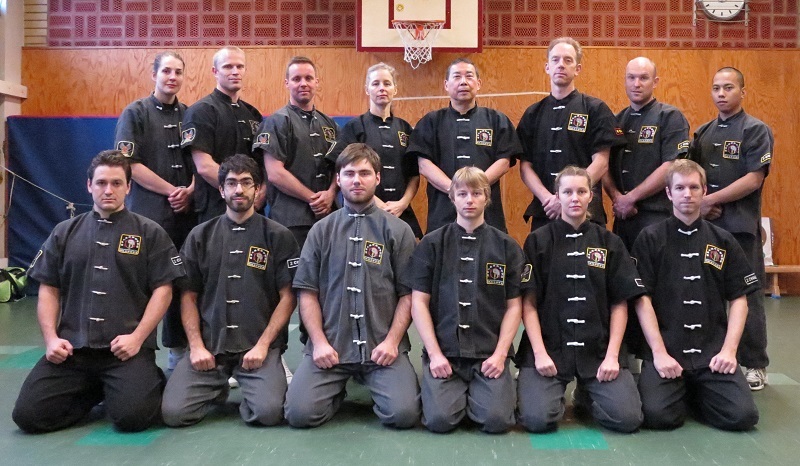 Week-end course in Skövde was held 30 Nov-1 Dec, the pictures can be viewed on facebook/Oshinchuenkungfu. See the pictures from the week-end course in Stockholm, selfdefense with chin na techniques. Pictures from the summer camp at facebook/Oshinchuenkungfu. Skövde Wushu förening, our brother organisation, has for the last year trained Skövde ice hockey team, Skövde IK, in kung fu, a special cooperation between the organisations. See he news clip about the kung fu and ice hockey cooperation in TV4 Skaraborg (in Swedish). The week-end course in Skövde included weapon techniques - short stick with knife and long stick - and O Shin Chuen with the emphasis on kick techniques. See the pictures from the week-end course 11-12 May 2013. It has been an international tournament in Yixing in China March 22-24. The Swedish Shuai Jiao Union participated with two competitors, Laoshi Jani Minkkinen in the men's under 68 kg-class and Zhu Jiao Marcus Johansson in the men's under 82 kg-class. Both of them qualified into the international ranking system. Pictures and videos on our facebook page Oshinchuenkungfu. The week-end course February 16, 2013 in Stockholm with Da Sifu Louis Linn was all about O Shin Chuen Kung Fu fighting and self-defense techniques. See the pictures from the self-defense fighting course Feb., 16 2013. The Swedish competitors did well in the 2012 International Chinese Shuai Jiao Tournament - Chang Tung-Sheng Memorial in Italy , 24th November 2012. They all took one gold medal each. Congratulations to Ida Wallin (Skövde WF), Marcus Johansson (Skövde WF) and Paulina Wysotzky (Stockholms WA). Skövde Wushuförening hosted a competition on Saturday 10th November 2012. There were competitors from Skövde and Stockholm that met in Light and Semi contact Bo jyi (free fight) and Shuai Jiao for juniors, gentlemen and ladies. There were many happy faces among the competitors and the audience watching the matches. Videos will be posted later on, so please return soon again. The photo album from the competitions. Pictures from the O Shin Chuen fight seminar. Video from the O Shin Chuen fight seminar. The Thursday training September 27, 2012, was a tough training for the advanced members in Stockholm. Da Sifu taught a speciality of O Shin Chuen Kung fu, Ti Tan. A training that made our knees week and shaky the day after for all of us. Pictures from the Ti Tan training. Video from the Ti Tan training. On Saturday September 22, 2012, we celebrated Da Sifu's 65th birthday. It was a joyous occasion with good food and many happy faces. the tribute song, Thank you for the Training, performed by instrucors of Skövde Wushuförening. The instructor's course of autumn 2012 included training in teaching methods and techniques for the instructors to improve themselves in all levels, from basic techniques to forms and form applications. Louis Linn O Shin Chuen Unionen-Svenska Wushu förbundet invited members to the sixth China Camp since the first in 1992. 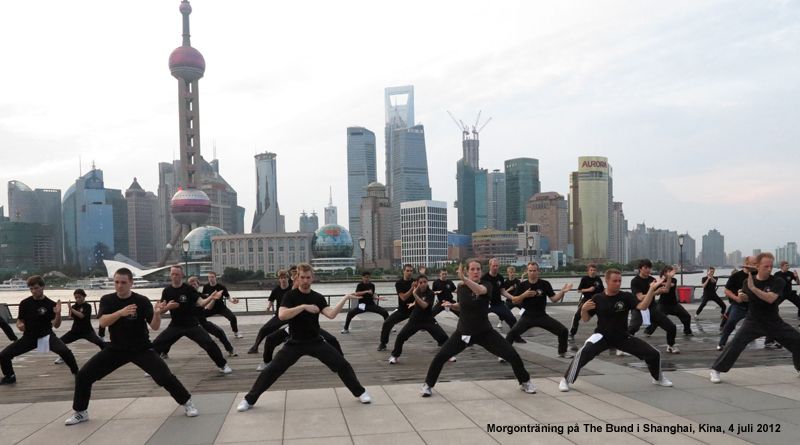 We were 75 participants that followed to Beijing and Shanghai for sightseeing and a very profitable training with Da Sifu Linn, a record number since the start of training camps in China. You can read more about the training camp in the China camp blog at chineseboxing.se (in Swedish), latest post 2012-07-31. An album from the sightseeing the day, with group 1. 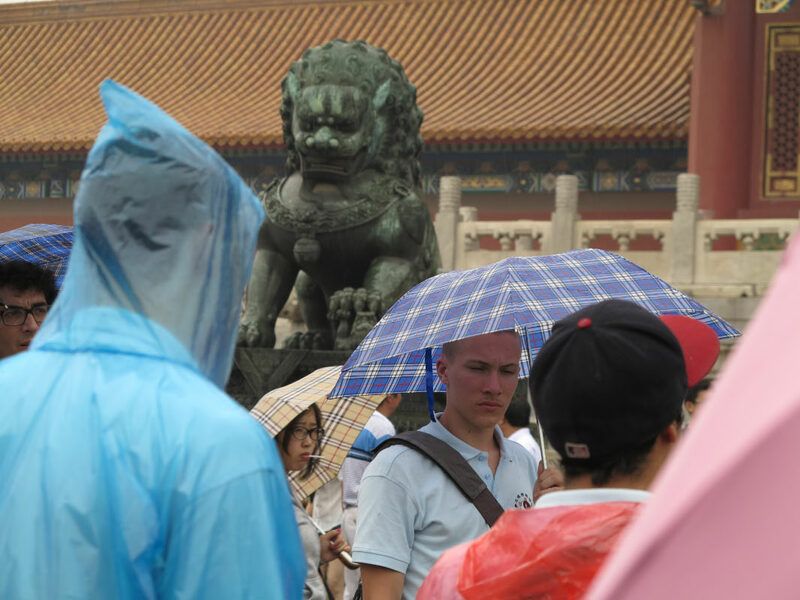 China Camp 2012 - Arrival in Beijing and the Forbidden City. 2012-05-12 & 13: Skövde Wushuförening invited the members of LLOSCU to a week-end course with Da Sifu. Saturday included weapontraining with Tsoan-tje-kun to the delight of many members. Sunday had two sessions, the first with the instructors and the second session included advanced and intermediate groups that got a course in fight techniques. See the pictures from the week-end course in Skövde 12-13 May 2012. Picture: Instructor's course for spring term of 2012 was held in Skövde. Thank you Skövde Wushu förnening for the good arrangement. The page of O Shin Chuen is updated with the three elements that is essential to understand in order to master the style. See O Shin Chuen. 2011-12-10&11: Skövde Wushu Förening invited the members to a week-end course with Da Sifu. See the video of Da Sifu teaches the O Shin Chuen shock punch to the advanced members of Skövde WF and read the article in Skövde Nyheter. Pictures from the instructor's course in Skövde. Pictures from the O Shin Chuen week-end course. The page of Sifu Linn is updated with a fight scene from his film On The Verge Of Death, check it out. Pictures from the week-end course in O Shin Chuen. Pictures from the Elite Grade course with sweep. Pictures from the Summer Camp of 2011 which was held from 18 June to 21 June at Herrfallet outside Arboga. Five members passed the 2nd Chieh test of autumn term of 2010. 2010-12-11 in Skövde: Marcus Johansson, who then qualified to the instructor title of Zhu Jiao; and Markus Andersson. 2010-12-13	in Stockholm: Paramjeet-Sandhu Singh. 2010-12-16 in Stockholm: Stefan Alariksson; and Fredrik Hansen-Fure. Louis Linn's biography is also available in Wikipedia. Louis Linn O Shin Chuen Union is an organisation for members that practise Sifu Louis Linn's family style Fukien Shaolin O Shin Chuen (O Shin Chuen). The organisation was founded in 1977. LLOSCU arrange courses, training camps and grading exams for the members. Isaberg, 16-19 June. More information at Oshinchuen-Kungfu.se. Pictures from the camp of 2017, click on the picuter below to see the album.